If you are thirsty, you are already dehydrated. Instead, drink small amounts frequently at regular intervals: 8 ounces every 30-45 mins. You are more inclined to drink when fluids are readily available. Aim to refill a 27 ounce drinking bottle at least once every hour. It’s finally summertime! 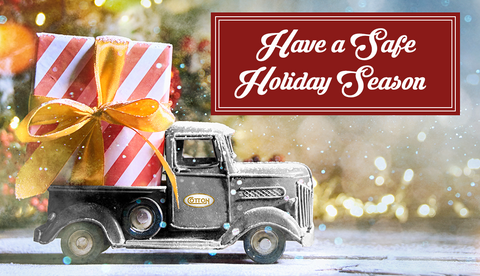 That means most will opt to celebrate the season outdoors. 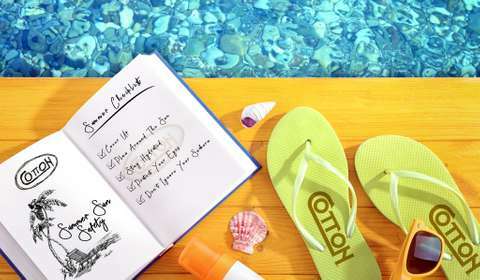 Soaking in the sun can mean being out by the pool, beach vacations, cookouts, and other outdoor activities. However, when having fun in the sun it should also be second nature to take steps to protect yourself from UV radiation. Whether you’ve got a vacation coming up or simply spending time outside, we’ve got you covered! Safeguard yourself and your family this summer and stay healthy with sun safety tips and recommendations from the Cotton Safety Team. Cover up. Shield your skin from the sun’s UV rays by wearing long sleeves, wide-brimmed hats, and breathable pants. All fabrics block UV rays to some degree, but for the most effective protection invest in outdoor clothing that carries an Ultraviolet Protection Factor (UPF) rating. The UPF rating measures how well different fabrics block UV rays. The most effective UPF rating is from 15 to more than 50. 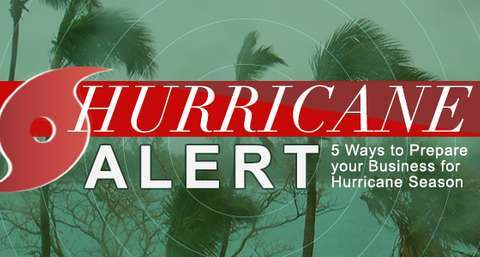 Hurricane Season Is Here: Are You Prepared? June marks the official start of the 2018 Atlantic Hurricane Season and the National Oceanic and Atmospheric Administration (NOAA) forecasts the outlook to be historically more active than years past. 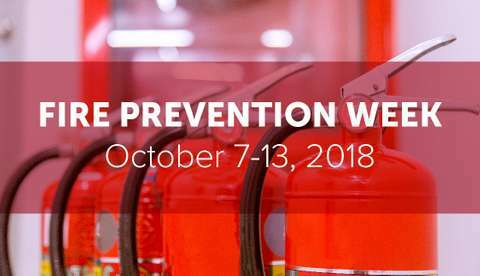 Cotton Global Disaster Solutions urges you to take steps to protect your employees and safeguard your business. It only takes one storm to change the course of your life and your company’s fate. Hurricanes are among nature’s most powerful and destructive phenomena. 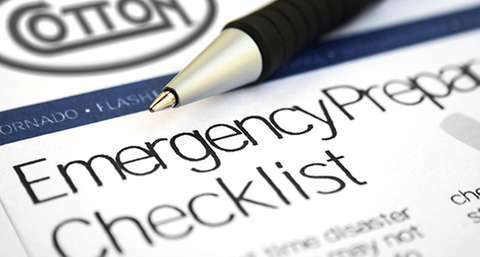 Emergency planning and preparedness for natural disasters is the key to a quick response and recovery when disaster strikes. 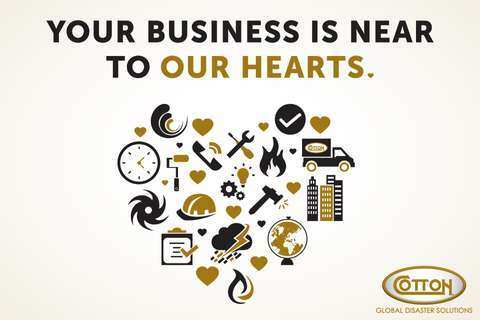 Cotton Global Disaster Solutions is here to help you weather through the storm. 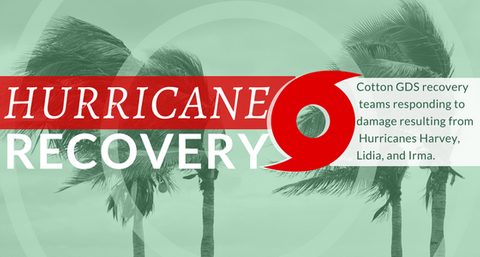 Start by downloading our Hurricane Business Continuity Planning and Recovery Guide. Disasters Don't Take Days Off. Neither Does Cotton GDS. 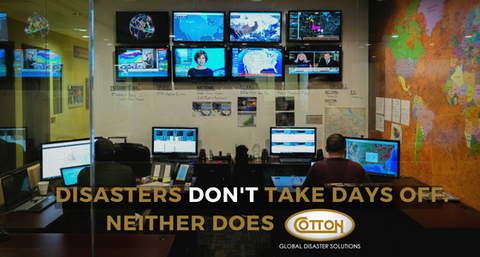 Before our Cotton Global Disaster Solutions teams initiate the response and recovery phases following a disaster, much activity happens behind the scenes in Cotton’s 24/7 Watch Department. Information and speed are key to efficiency in our line of work, and the Cotton Watch team is dedicated to being at the forefront when a disaster strikes. This department is a critical component of our overall disaster mitigation and recovery process and the attention to detail taken in their preparedness efforts are paramount to completing successful projects for our clients. 2017 saw unprecedented hurricane activity in the Western Hemisphere, wreaking havoc in the Southern Pacific, Caribbean, Gulf, and Atlantic. 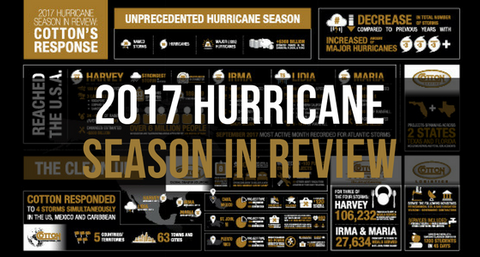 As Edmund Burke stated “Those who don’t know history are doomed to repeat it.” In order to prepare for the upcoming hurricane season, Cotton Global Disaster Solutions recommends taking a look back at our 2017 Hurricane Season In Review. The infographic not only gives an extensive breakdown of last year's storm activity, and devastation, but also highlights Cotton's turnkey solutions and our multi-divisional response to the seasons quadruple punch. Spring arrives with generally warmer temperatures and lush greenery, however, the season can also bring severe weather. 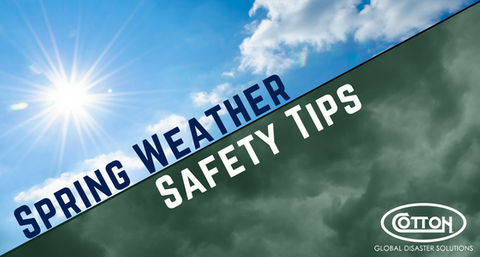 As temperatures can swing back and forth, with sunny days being followed by stormy nights, Cotton wants you to be aware of the dangers that may occur in this coming season. Take these steps to stay safe if severe conditions are predicted for your area that may affect your business. THUNDERSTORMS Thunderstorms can cause the most severe weather bringing tornadoes, flooding, hail, and especially lightning. According to American Red Cross, lightning kills more people each year than tornadoes or hurricanes. Take thunderstorm watches and warnings seriously, as people may be harmed by either ignoring them or missing the signals. February is a month where we show our love and affection to those who are special in our lives. Valentine's day is upon us and many have spent the last couple weeks thinking of creative ways to show how much they care. 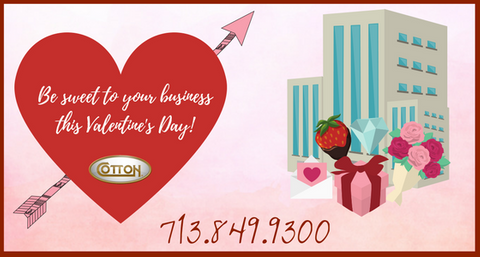 At Cottonwe think the same care, affection, and attention to detail that you put into planning your Valentine’s day should also be shown towards your business! We are pleased to announce that Richard (Rick) Leiby has recently joined the Cotton Commercial USA team as the Director of Construction Sales. This is an integral component of Cotton’s Global Disaster Recovery Division. He brings extensive client network knowledge that spans over 30 years providing synergies across most of the Cotton Holdings markets. 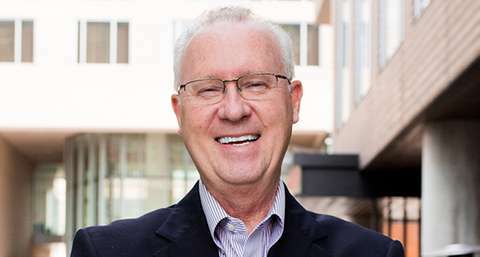 Rick has held various positions of increased responsibilities since 1981 within the Schindler Elevator Corporation. Early roles included Application Engineering, Service and New Installation/Construction Sales, Project Management, District and Regional Sales Management in a 10-state territory, with eventual P&L responsibilities as General Manager in the Southeast Texas region. Previous corporate moves include offices in Philadelphia, Washington/Baltimore, Pittsburgh, Cleveland, and for the last 21 years, working in Houston. 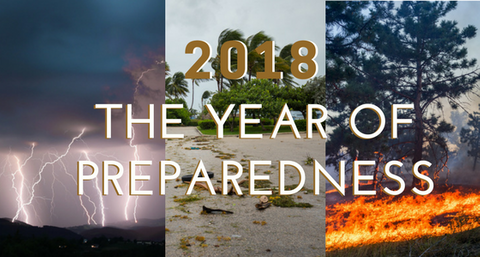 After deadly hurricanes, wildfires, and severe storms, 2017 was a year of unparalleled natural disasters while also being the most costly year on record for weather-related disasters in the United States. As 2017 has come to a close, and businesses analyze and reflect on the the past year, a good opportunity exists to implement new processes based on lessons learned. 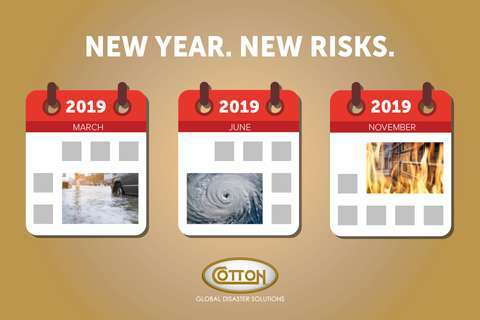 Cotton invites all of our clients and prospective clients to not only continue to prepare for unforeseen events, but also enlist Cotton’s turn-key solutions in order to achieve cost-savings following a potential disaster event. 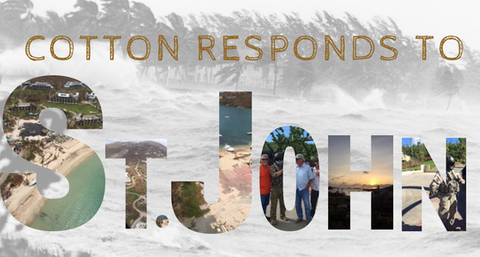 Despite facing major obstacles while being in a remote location, Cotton responds to the island of St. John. While Cotton was responding to the aftermath of Hurricane Harvey in our hometown of Houston, and other areas of Texas, two category 5 hurricanes hit the U.S. Virgin Island of St. John, in the Caribbean. Cotton quickly mobilized assets and personnel to respond to our clients in the affected area. Cotton is very proud to be involved in this project, and other ongoing efforts in Puerto Rico. The scale of the project combined with its geographic location has presented logistical challenges; however, Cotton has not compromised on our quality of work, and has learned considerably from this project. 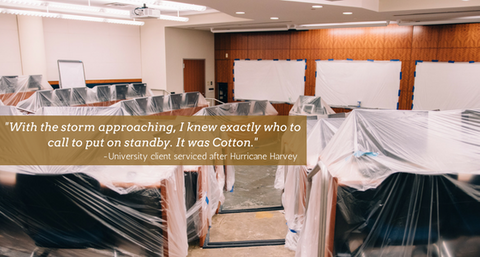 In the aftermath of Hurricane Harvey, Cotton was heavily relied upon to help our clients in the Gulf Coast region recover. In the weeks since the cleanup and repairs, some have taken the time to personally thank us for a job well done through personal letters and emails. 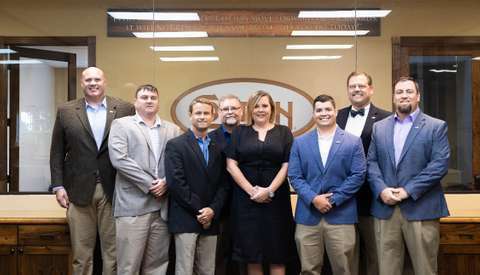 We know that it is our job to respond quickly and perform to the best of our ability, but hearing the support and appreciation from those who have had the Cotton service experience is always humbling. 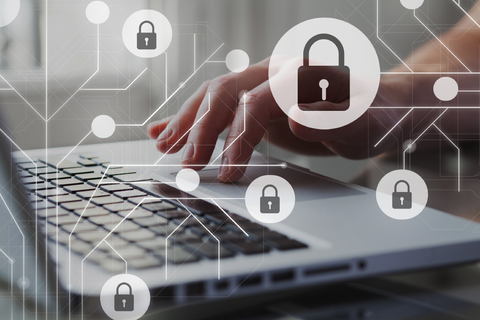 Getting a business or organization back online after a hurricane or other high-impact catastrophic event can be challenging, stressful, and costly. Consequently, after a disaster strikes, our clients receive expert attention to protect assets and determine a critical path of disaster recovery that will minimize their interruption to daily operations and their associated revenue loss. Cotton Global Disaster Solutions is actively responding to the destruction from Hurricanes Harvey, Lidia, Irma, Nate, and Maria in areas across the United States, Mexico and the Caribbean. 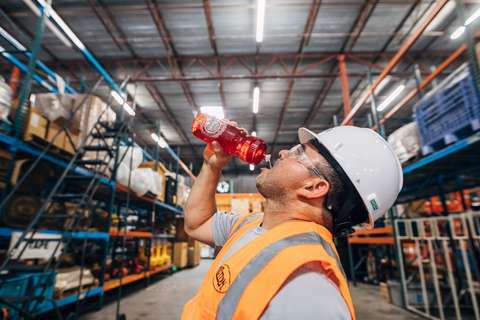 At the peak of operations, we were managing a workforce of nearly 3,000 people, all committed to providing our clients with comprehensive and speedy services to get them back to business. As we continue to assess the aftermath of Hurricane Harvey, it is with a heavy heart I write this memo. 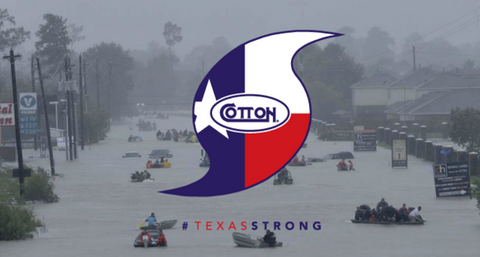 The thoughts and prayers of the entire Cotton Team are with all those affected by this storm. The storm and its resulting damage has had a tremendous impact on Houston and the Texas Gulf Coast Region, and the cleanup effort in the affected areas will be formidable. The Cotton Team is already hard at work confronting this challenge. The Texas gulf is our home. It is where Cotton began and where our home office and largest presence remains. Every day we see the impact of this storm on our neighbors, friends and family. We also appreciate the trust that you have placed with us over the years. 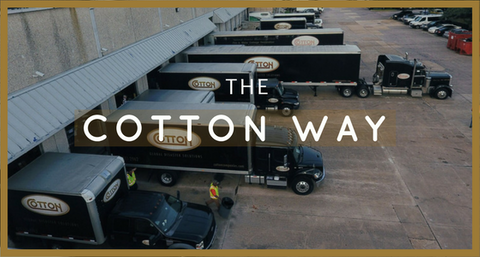 Let me assure you, the Cotton Team is focused on responding to our clients’ needs in the fastest, most efficient way possible. The 2017 Hurricane Season has been very dynamic, with its intense storms and wide reaching activity across the Atlantic, Pacific and Gulf of Mexico. Hurricane Harvey left its devastating mark on the Texas Gulf Coast with three separate landfalls, while Lidia made landfall and caused significant impact to Mexico's Baja Peninsula in addition to flooding in the country's interior. The most recent hurricane, Irma, was equally damaging in the North Atlantic slamming multiple island nations as a Category 5 storm before moving onto Florida, bringing heavy destruction. Hurricane Matthew, a tropical cyclone that struck The Atlantic with full force in late September of 2016, brought widespread destruction and catastrophic loss of life. As this was a complex, multifaceted operation, it was necessary to utilize as many of Cotton’s capabilities as possible. 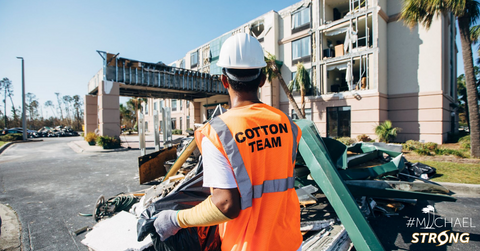 Cotton International deployed our assets and team to the Bahamas soon after Matthew had passed to begin restoration support for our client. 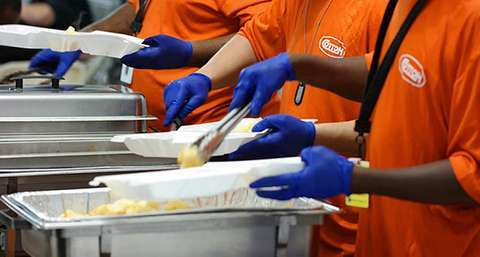 Over a course of three weeks, Cotton Culinary’s Emergency Food Service division provided approximately 20,000 meals for our client as well as to displaced families and local shelters. 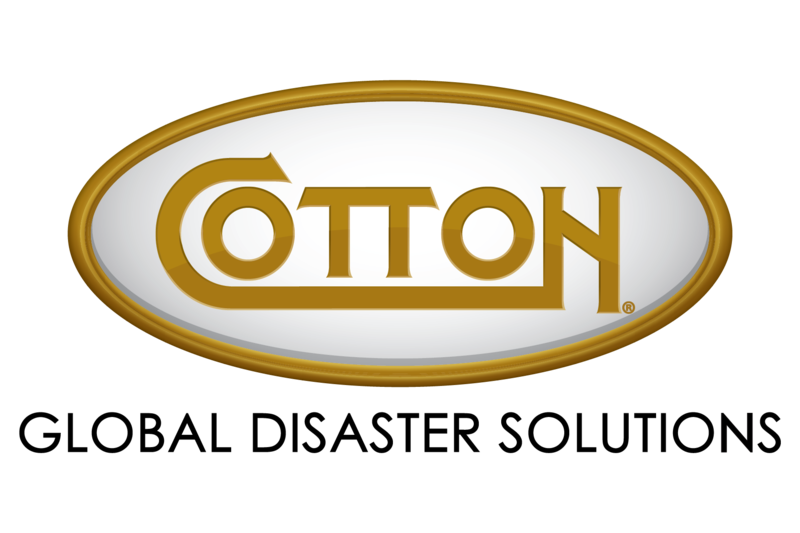 Cotton’s efforts effectively minimized the loss for our client and allowed them to return to normal business operations. It is a great honor to be called upon to deliver in times of crisis, and we believe that our turnkey, integrated solutions set us apart in the industry, while setting our clients up for success! 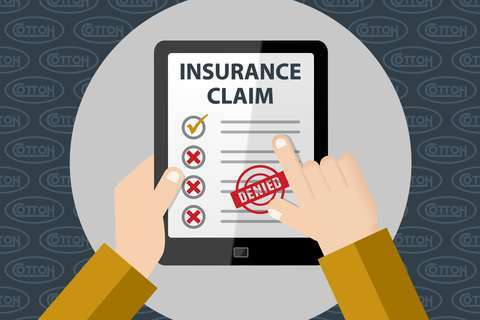 IS YOUR BUSINESS AT RISK OF SUFFERING FROM "HURRICANE AMNESIA?" 1. Ensure your business’ roof can withstand the storm. Have the roof of your building evaluated to ensure it is structurally sound and best suited to endure heavy rains, hail and high winds that are characteristic of hurricanes. On Thursday June 22nd, Tropical Storm Cindy made landfall in the Northern Gulf Coast between Cameron, Louisiana and Port Arthur, Texas. According to the National Hurricane Center, Cindy had a real chance of doing serious damage to the Gulf Region. Thankfully however, these predictions didn’t come to fruition, and the storm resulted in only heavy rain and winds. Though Cindy didn’t cause major devastation, Cotton used the potential threat as a response training opportunity. 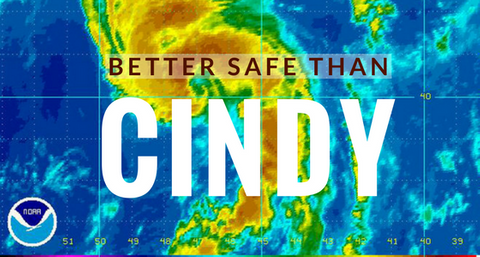 Prior to Cindy’s landfall, Cotton exercised it's CAT deployment procedures by standing up an internal command, notifying on call staff and vendors, staging equipment, mobilizing first response staff, and staying in constant contact with clients who had exposure along the coast. 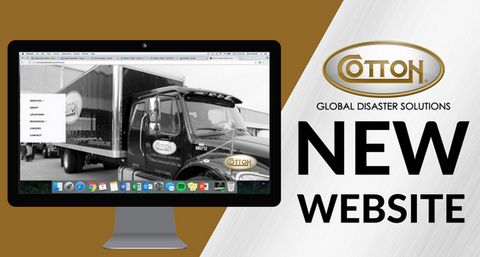 “In these situations, we have many clients counting on us and it is our duty to be ready to respond and service their needs when the call comes in,” said James Scaife, President.